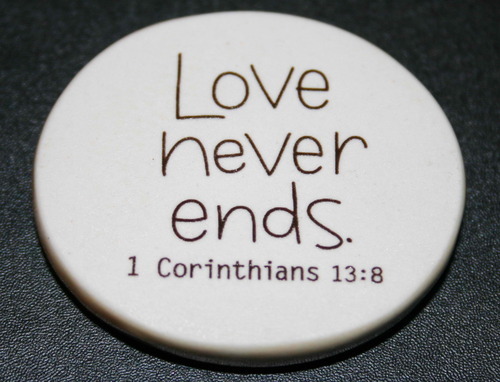 1st Corinthians’ comments about divine love not with standing, human love can end . It is not indestructible. How one is treated really matters. — It’s funny but our mythical romantic love complex has contradictory ideas and feelings about love. On one hand, we think that true love can take anything and lasts forever, i.e. there is nothing that one can do to lose or destroy the love a person feels. On the other hand we worry that once “you’ve lost that loving feeling” there is nothing that can be done to get it back. — Psychologically, both notions are false. Love is not fragile but sustaining it requires care and ongoing maintenance. Like a garden. If you neglect it, what you get are bugs and weeds and not the beautiful flowers or vegetables you wish to enjoy. — Likewise, if the love has gone out a relationship due to neglect , it can be brought back with loving care and attention. And that takes intentional effort . Love will not magically return simply with the passage of time. Real change and real and ongoing consideration and kindness are needed to restore it. — Valentine’s day , in addition to being an excellent time to celebrate one’s love, it also provides a great opportunity to look and see just how well both have been attending to the relationship. Both partners can ask themselves how attentive and kind they have been to one another. It is a good time to identify areas of concern and re-commit to making positive changes. –A regular relationship check-up is a great way to make sure that your love will not only last but flourish . — Bottom line: Love doesn’t last forever all by itself, however, with proper care and nurturing, it will !